What happens during the Mass? Most of us have been going to Mass since we were a child. Every week, for many years, we have faithfully participated in those prayers, we’ve heard the Word of God, and we have received communion. We’ve seen the same rituals, the same gestures, and even heard the same readings many times over. Sometimes, because of this familiarity, we can lose sight of the big picture and what everything is all about. What should be expect when we come to Mass? Last spring, in this talk for the Rediscover series, Father Cozzens, summarized it by saying that at Mass, the greatest event that ever happened in human history and the greatest person that ever walked the face of the earth are both made present. 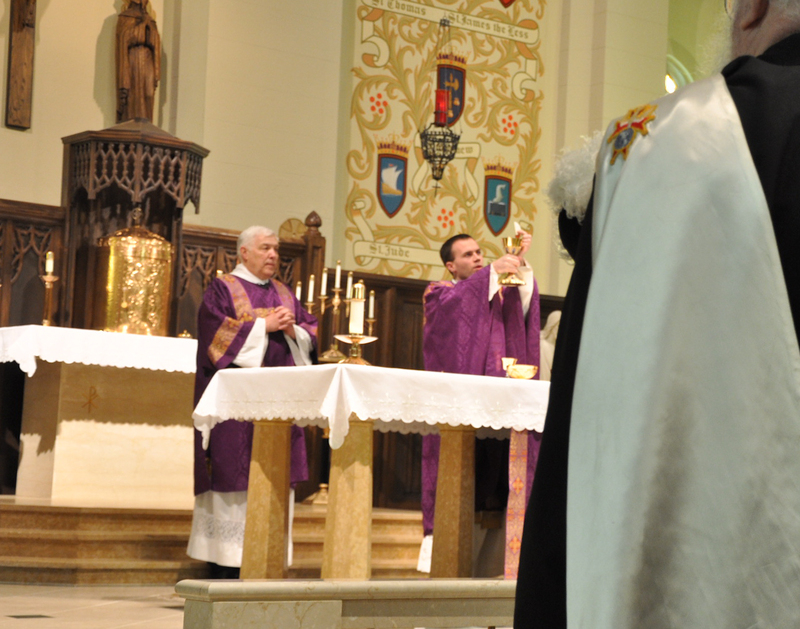 At Mass, Jesus Christ is made present in the Eucharist. We receive him in communion. We are present with him at his passion and we are present with him at his Last Supper. The Eucharist is the greatest prayer that the Church can offer. It is a sacrifice, which unites us to the sacrifice of Jesus on the cross. This is why we call the “altar” an altar and not just a table. The Eucharist is also a meal. We are united with the Church around the world, throughout history, with the living and the dead. Most of all, we are united with the Lord himself. At the Eucharist, we become what we receive and have a foretaste of heaven. At Mass, God speaks to his people. The saints and angels join in our prayer. Every Sunday, we have the opportunity to hear Jesus speak to us individually and to touch our hearts in the most powerful of ways in the Eucharist. The Mass is not exactly fun, and it’s not supposed to be, but it is amazing. What should we expect and what happens during Mass? We come face to face with the living God, we receive him in the Eucharist, we are given new life within us, we are made present at the Last Supper and at the cross, we hear God himself speak to us, we offer a great sacrifice, we are present with the angels and saints, and we join a long line of faithful disciples just like us. What a great blessing. In the weeks ahead, I now hope to focus more on the individual details of the Mass and why we do what we do. God’s blessings be with all of you.